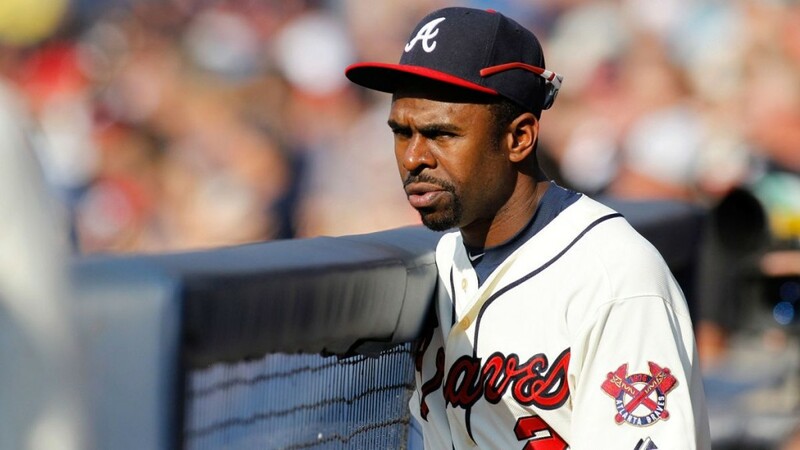 The Atlanta Braves finalized their 25 man roster and the moves left two-time all-star and Gold Glove winner Michael Bourn looking for work. The Braves now have 10 days to either release or trade Bourne. Emilio Bonifacio was also designated for assignment. The team continues its move towards youth. The Braves’ two highest-paid players this year will be Bourn and Nick Swisher, both of whom are now gone. The team chose to keep veteran Drew Stubbs, who signed with the Braves on March 30 after his release by the Texas Rangers. Bourn was thought to have secured a roster spot earlier this spring, however veteran Jeff Francoeur seems to have pushed Bourn out. Francoeur impressed this spring, hitting .327/.389/.449 in 49 at-bats with a home run, three doubles and four RBI. He has been at his best against left-handed pitchers, hitting .400/.429/.700 in 20 at-bats. Bourn will likely catch on somewhere, but his skills have declined in recent years, from .274/.348/.391 in 2012 to .238/.310/.282 last year. Defensively he is not quite the same player he was either. UZR rated Bourn as 23.3 runs above average in center in 2012 and 2.5 runs below last season.